Do you want to learn the Greek Language and are you are looking for the best? Fortunately, you came to the right place! Here you can find all the information you might need about Greek Language lessons for beginners, programs and we can show you our strong points that make us stand out of the competition. Perhaps this makes it easier for you to choose! From the beginning, students learn to speak, read and write in Greek in a motivating and collaborative atmosphere. During their lessons they examine different communicative situations and they learn to respond to them. At Lato we can prove you that Greek can be challenging but also funny. Exactly like playing a game. Where: University venues in Amsterdam, perfect accessible by public transport. When: Wednesday 19.30′- 20.30′ . If you want to learn really fast or without leaving the comfort of your own place, Lato’s Private or Semi private courses are the best solution! Na een aantal jaren Griekse lessen gevolgd te hebben bij diverse docenten, is mijn ervaring met Katerina, dat zij op een speelse wijze les geeft en daarbij is zij ook heel flexibel in het gebruik van het lesmateriaal en geeft moeiteloos een aanvulling op materiaal indien gewenst. Een sterk punt van Katerina is dat zij middels een terugblik op de les de essenties van de les kan weergeven, aangekleed met voorbeelden en dat geeft voor mij een betere beklijving. "The Greek lessons are really amazing, for me I wanted a bit more customized lesson. I wanted to focus mainly on small talk and learning basic communication. With Katerina, it has been amazing! She is really flexible and understood what I needed. I am learning a lot during the lessons, and I don’t know how she does it, but she stimulates me to study more and keep me motivated. I can really recommend to everybody that is looking to learn to speak Greek." Na ruim een jaar 1 keer per week privéles van Katerina heb ik heel veel geleerd van de Griekse taal. Wij hebben vooral de nadruk gelegd op de spreekvaardigheid. Heel duidelijk en geduldig heeft ze mij een stap verder geholpen en ik ben heel blij om de taal inmiddels enigszins te kunnen spreken en lezen. Dus, kort samengevat, ik ben heel erg tevreden en heb veel geleerd. Dank, Katerina! "Katerina is a very enthusiastic, dedicated, and patient teacher who has a great love & passion for the Greek language & culture and the ability to inspire the same love & passion in her students." I really enjoyed coming to my lessons at Lato. Greek may be a difficult language to learn, but because of Katerina's clear explanations and enthousiam I learned a lot in a short amount of time. Because of the lessons I improved my level and understanding of the Greek language. I would definitely recommend her lessons. Katerina is de liefste en meest geduldige lerares die ik ooit gehad heb! Ze stopt hart en ziel in haar vak en daarbij ook nog eens een flinke portie humor. Haar warme en hartelijke persoonlijkheid, samen met haar vakkennis en jarenlange leservaring, maken haar lessen inspirerend en motiverend om Grieks te leren! "I had a fantastic experience learning greek with Lato! I previously had some lessons in the UK and picked up a little vocabulary on my trips to Greece but I did not have too much confidence when speaking. 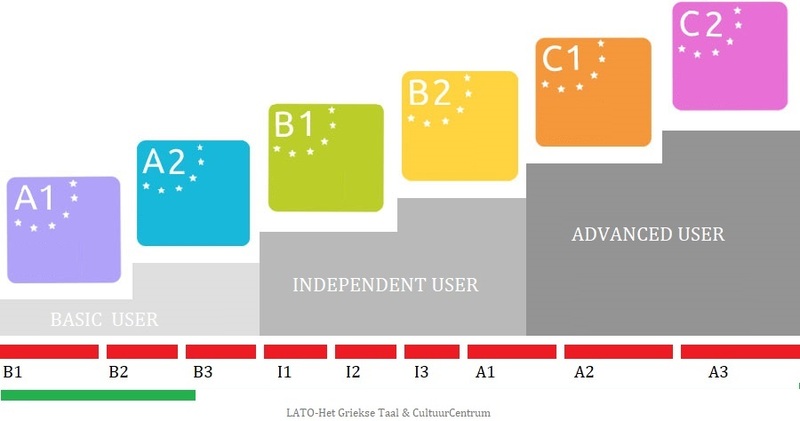 The methods and lesson structure used by Katerina really helped to build my confidence and ability, I would recommend Lato to anyone looking to learn Greek while in Amsterdam!" Katerina is a true great teacher. She is dedicated, enthousiastic and teaches from the heart. Above all her qualities as a teacher she has a lovely personality. Im always looking forward to the next lesson! I am very happy with the Greek lessons with Katerina! I really enjoy it, glad to have private lessons now which is so different than in a group. I am limited in my time to invest in Greek, as I have a busy job and family, but my one hour per week is the best. Katerina is patient, clear and adjusts to my pace and knowledge. I feel I learn fast with her and she gives confidence in starting to speak little by little (I am a beginner..) I look forward to continuing! Katerina’s teaching approach and focus on conversation makes learning Greek easier and fun! And for those difficult and tricky concepts, she always comes up with a simple and original example to make the learning process much more smoother and natural. “Can you learn Greek fast and also have fun? “Language learning is like sport"…you only get better with practice. I met Katerina when I was working at the Embassy of my country in Athens. It was relaxed, but also challenging. Katerina's teaching approach boosts students' confidence. They enjoy the lesson and want to speak more and more. Sometimes it is difficult, sometimes it is funny; but in the end you realise you have learned a lot in a short time! Hello I am Liesbeth Visser, my profession is Pedicure and feet-reflexologist. I travel several times to Rhodes in Greece, for personal and professional reasons. That's why I have private lessons from Katerina, which gives me the feeling that I get her fully attention and I learn much faster than in a class. I started last year and I continue my lessons this year. It's never late to learn this beautiful language which with Katerina becomes easier than it is and understandable. I recommend Katharina Zachari because she is serious, she is clear, she has patience with you and she is very nice. Lato is more than just a language school. We focus only on one language: Greek. We love what we do and at Lato we do it exactly as we dreamt, with the right people in the right position. Every day we try to do better what we already know to do well. Lato is a Centre for Greek culture & language, which means that we focus on spreading this and we try to treat them as a common good, not as a product. Until now we are proud to say that we have only satisfied students, that is why we dare to set the bar even higher and we are sure you will enjoy your lessons. If not, we give you your money back. See more at General Terms and Conditions. 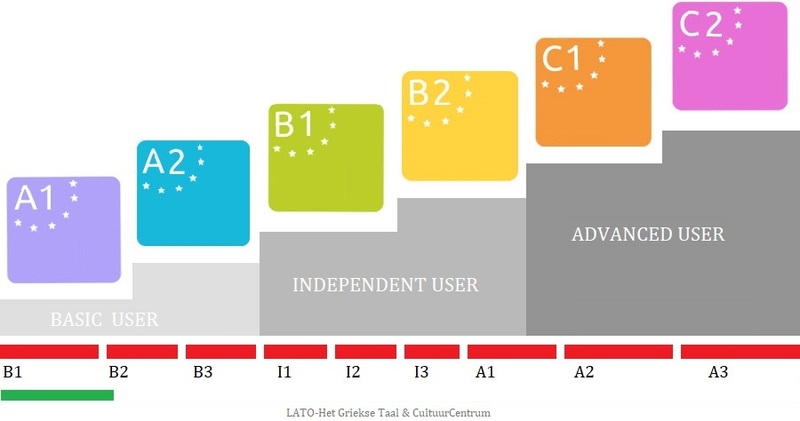 Whatever your level is, whether absolute beginner or advanced student, at Lato there is always a suitable course for you. Even if you wish just to talk a little bit with Greek friends during your vacations or you have a Greek partner and you have a strong motivation to learn the language, at Lato we are able to turn your wish into reality and we are always willing to help you choose the right course or type of lessons. With an experience of about 20 years in teaching and having worked for the Hellenic American University, embassies, multinational companies and Cultural Centres, we know how to find out your pace, to realize your special needs, to answer all your questions and, in short, to do what we promise.